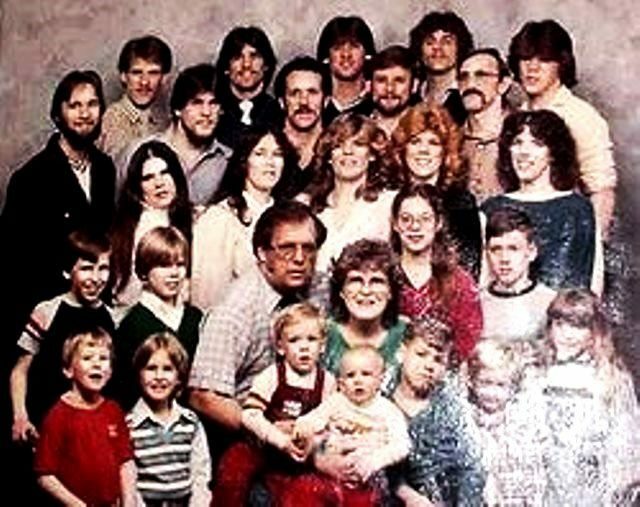 Earlier portrait of Robinson family in happier days. The original adorns Gayle Robinson’s living room in her Westland home. 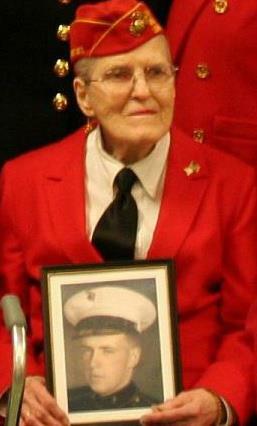 USMC veteran Gayle Robinson with early photo of her late husband Russell, also a veteran. DETROIT – After a fractious family battle lasting three years, Marine Corps veteran Gayle Robinson’s adult children all told Wayne County Probate Court Judge Terrance Keith April 24 that they want their mother back in her Westland home of 60 years, and notorious guardian/conservator Mary Rowan promptly dumped from her case. 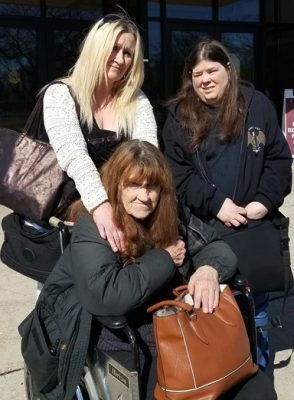 Robinson is currently confined against her will in the Maple Manor nursing home in Wayne, Michigan, where Rowan placed her indefinitely without any court order. Keith had pledged during a hearing July 28, 2014, that he would not allow Robinson to be removed from her home without such an order, according to court transcripts. “Why I am in jail?” Robinson asked a friend of the family who told VOD she visited her at Maple Manor a few days before the hearing. Robinson told VOD during an earlier hearing that she wanted to remain in her home with her son Randy, his daughter and her dog Fluffy, a wish which a former Guardian Ad Litem, Ella Bully-Cummings, also relayed to Judge Keith. The friend said Robinson was sitting at a table in the corner of the Maple Manor dining room with three other residents, none of whom were eating the food placed in front of them. She said Robinson had a shriveled up hot dog and potato chips on her plate. “When Gayle recognized me, she got up and gave me a big hug,” the friend said. They went together to the tiny room she sleeps in, but another resident who Robinson said sleeps all day occupied the bed next to a tiny TV. So Robinson does not watch the TV. When nursing home staff saw her in the room, they promptly told her to leave, she said, saying Robinson’s guardian Rowan did not want anyone visiting before her court hearing. Over the past three years, Robinson has been deemed able to live on her own by medical professionals at Henry Ford Hospital, the Veterans’ Administration, and even a court-appointed evaluator, Dr. Marlena Geha. She said Rowan’s assistant Katie McDonald told her that her mother is not eligible for VA in-home care. 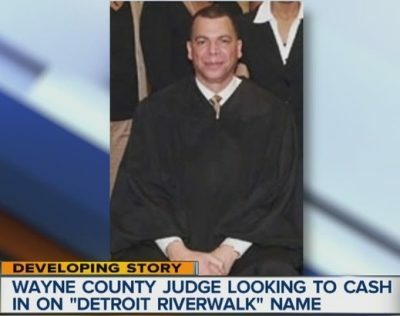 Judge Terrance Keith; scandal erupted when he tried to copyright Riverwalk name for his profit. Other siblings at the hearing expressed unanimous agreement that their mother should be back at home, and that Rowan should be removed as guardian/conservator. Randy and his daughter Lynette had been living peacefully with Robinson, who was active in VA affairs and other events, and was able to manage her own home and financial affairs, when her oldest daughter Kathleen Law opened probate proceedings in 2014. Gayle Robinson home of 60 years in Westland. 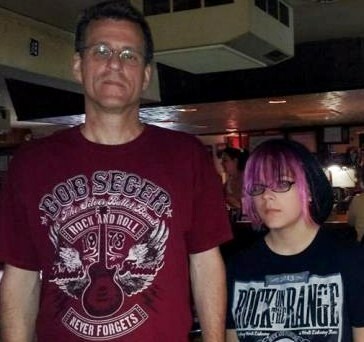 According to court testimony, Robinson fell twice during the period she was living on her own after her other children were not able to stay with her on a 24/7 basis in 2015. She was hospitalized once with non-life-threatening injuries. The hospital released her with a recommendation that she use a walker, but did not say that she needed around-the-clock care. Evidently, Rowan never considered purchasing a “Life Alert” necklace for her ward. One press of the Life Alert button, used by many seniors living on their own, summons emergency medical personnel. Rowan filed a petition asking that Keith have Robinson remain at Maple Manor and that Mary Robinson pay all her guardian/conservatorship fees for the disputed time. You have the right to be present at the hearing. If you wish to be present at the hearing, all practical steps must be taken to ensure your presence, including moving the site of the hearing. You have the right to have your incapacity and the need for a guardian proven by clear and convincing evidence. You have the right to have the guardian’s powers and the time period of the guardianship be limited to only the amount and time necessary. You have the right to send an informal letter to the judge asking that your guardianship be modified or ended. You have the right to have a hearing within 28 days of requesting a review, modification, or termination of your guardianship. You have the right to consult with the guardian about major decisions affecting you, if meaningful conversation is possible. You have the right to be visited by your guardian at least once every three months. You have the right to have the guardian secure services to restore you to the best possible state of mental and physical well-being so you can return at the earliest possible time to managing your own affairs. 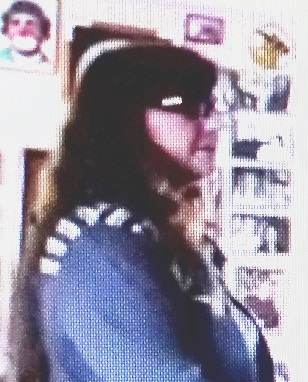 Rowan chief assistant Katie McDonald; still shot from video when she and Westland cop took Rowan from her home in 2014 without a court order. Rowan, her assistant Katie McDonald, current Guardian Ad Litem Maria Vulaj, and Anna Duba, Maple Manor LPN and director of Admissions and Case Management, contended that Robinson needs 24/7 care based on statements they presented in Vulaj’s report during the April 24 hearing. Duba testified, but as an LPN she is not qualified to diagnose patients. One of two written statements is from Senior Wellness Group, which has the same address as Maple Manor, 3999 Venoy Road, Westland, MI. Maple Manor is a for-profit organization run by the Evangelista Group, which constructed the building, according to state records. Another statement, which misspelled Gayle Robinson’s name as Gail Robinson, is from Trupti Patel, MD. It says in one sentence that Robinson has dementia and therefore needs 24/7 care. They alleged the Veterans Administration has refused to release an evaluation of Robinson performed Feb. 27, 2017, because of publicity attendant on the case, largely from VOD. Keith ordered them to subpoena the records. Evangelista family celebrating profits from their nursing homes. It further requires that the VA must examine any potential ward considered mentally incompetent before any VA funds can continue to be paid out. It also bars guardians with 10 wards from acting as a veteran’s guardian. Mary Rowan has over 400 active wards, and at least 1400 probate cases of various sorts. “It’s totally illegal, a federal offense that any Court should take a veteran that receives Federal benefits in as a ward of the state if it was not said by the VA that the Ward needs to be put in guardianship,” Gayle Robinson’s daughter Debbie Fox told VOD. During the hearing, Judge Keith lifted an earlier “show cause” order against Fox, part of the one which preceded her brother Randy’s three-month stint in jail. Randy Robinson is now represented by attorney Matt Chaiken, who told Judge Keith he would draft an order for the family to present to the judge regarding Rowan’s removal as guardian/conservator and Robinson’s return to her home. Judge Keith set the next hearing for Monday, May 17, 2017. Keith also spent several minutes condemning the adult children of the Robinson family for their earlier divisions, and said HE selected Mary Rowan as guardian because she is a “tough” attorney needed in such disputes. So far, property records show Rowan has not been able to get control of the Westland home, but many guardians eventually profit from their wards’ estates by taking their homes. As conservator, Rowan does currently control Robinson’s income from the Veterans’ Administration and other sources. Court records show she was granted four extensions before finally filing an income report from the opening of her conservatorship to January of 2016. This reporter had filed a formal request to cover the hearing using audio and visual equipment with the Probate Court’s deputy administrator. On entering the court, she was informed that Keith had granted the request. Later, however, Rowan marched back into Keith’s chambers. Keith returned to the bench after a break, and announced that he had been advised that the only legal videotaping of a Probate Court hearing is that done by the court itself. He said the court video would be provided on request. Rowan asked that all camera/cell phones be seized and that all email accounts be investigated. 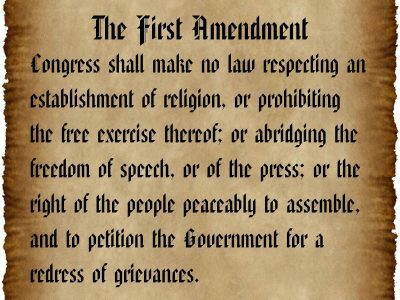 Keith did not grant that request, a gross example of unconstitutional prior restraint of the media, violating the First Amendment. This reporter was informed today by Keith’s court clerk Jamille Hill that the videotape would not be released, but that she would be required to hire a court reporter at her expense to transcribe the hearing. Since VOD is a pro bono newspaper, published on the editor’s fixed income, Judge Keith will thus have to excuse any errors made in this story. This reporter and others have had no problems audiotaping and videotaping court proceedings in other Wayne County Courts. Wanda Worley’s letter to judge demanding Mary Rowan’s removal due to violation of Worley’s rights as a ward and Rowan’s duties as guardian. This entry was posted in Uncategorized and tagged ENDGUARDIANABUSE, FreeGayleRobinson, FREESHARMIAN, FreeWandaWorley, JAILMARYROWANJOHNCAVATAIONOW, Justice4RaymondDavis. Bookmark the permalink. True enough, families do get torn apart, rights do get violated, advance directives nullified, and I have not heard a lot of good things about Mary Rowan. I am a nurse who works at Maple Manor. I have been here 7 months and there are, now I will say have been several Mary Rowan patients but now she has pulled them all out. We take care of her patients and have followed here rules and do not get into the politics of the law. I have seen so much love in this facility towards these patients from the staff it is unbelievable. They were family and now this has been broken apart. All these patients left crying. If this place was a jail, they would not have left crying. These patients have been here years. They were sad to leave and the staff was just as sad because they were family to us. We were all very teary eyed. I have been a nurse for 23 years and this is the first place I have worked with such a cohesive family unit. Anyone is welcome to check this out, and I personally would send a family member here for care or would myself gladly receive care here. Somebody should check the docket to see if Rowan had a court order to more the Wards. Most of her Wards are being isolated against court rulings from their families. Rowan is known for using your Eagle group homes to store her boards and most get two meals a day in her bed bugs. Several I ran by these two women that are convicted criminals just like Gayle’s daughters they have been prosecuted Mary Robinson convicted Kathy was a nurse practitioner. They put Gayle in Ashford Court Senior Apartments. There’s no 24/7 she’s in a studio apartment. It cost a about $2,000 more to live there then her own home. Just do Kathy , Paul and Mary can travel collect aid and attendance. Did you know Gayle Robinson? Gayle is in a worse situation. Her daughter Kathy who is a convicted liar for filing a false police report along with her sister Mary in Westland. She’s in an apartment Ashford Court Westland. They are acting as an unlicensed Assisted Living and unlicensed hospice. Assisted Living doesn’t have to be licensed in Michigan but hospice does. When Kathy let her under another’s care! They both should be in prison by Michigan Law. By the grace of God they will. Today I went to work at Maple manor only to find out that Mary Rowan had ordered her patients to be removed from the facility. Well let me tell you the patient here are very happy and much loved. Our patient has individual connection with the staff they are family to us so we treat them as such. Today when they were leaving you should have seen the look on their faces. The pain of knowing that they was leaving us. Several of our staff has had their loved ones here so if it was not a top notch facility you better believe that we would not consider it. Don’t be so quick to judge us on what some one else say. This is not a jail if a patient tells us they want to be somewhere else we go out of our way to facilitate it. If it was such a jail why was the patients crying when they left today. Even the driver of the van could not believe herself how much love she saw within this facility. So don’t be quick to judge us stop by and visit and see for your self. True enough families do get torn apart, rights do get violated, advance directives nullified, and I have not heard a lot of hood things about Mary Rowan. I am a nurse who works at Maple Manor. I have been been here 7 months and there are, or I should say there were several Mary Rowan patients here. I have never met or seen Mary Rowan, she is difficult, if not impossible to get ahold of, rude to speak to, if you ask anybody who has spoken to her. We have housed her patients and we follow her rules for them only. However, the Evangelistas are caring to the patients and their families and I guarantee you they do not consider this place a jail but a home. Rowan and Keith are doing what probate court insiders across the country have been doing for decades–covering up and abetting the outright felonies against so called incapacitated citizens and their families. Nationally this is a trillion dollar + crime annually. Families are destroyed, advance directives nullified willy nilly, rights are confiscated all while the legal meter runs unchecked. There is no supervision or monitoring by the judges, so the predators operate freely. I was at Maple Manor almost daily after the no contact order was dropped by judge Keith it was ordered by our siblings. The six worked with Mary Rowan and Kattie MacDonald writing the judge by emailing Kattie. The six we’re only successful getting rid of Rowan by using the evidence that I collected and pay for with transcript and uniform military guardianship act 321 for veterans that I have been pushing all over the internet and all over senators and congressmen because Mary Rowan having control over my mother as a guardian is a direct violation and she should be imprisoned in a federal prison and I’m working on getting more information about all the veterans that she’s had now and in the past because she is not allowed to have more than 10 words and if a veteran needs a guardian it can only be said so through the VA. But I was up there with my great-grand baby but now we knew that having my sister as a guardian would be worse than Mary Rowan. We don’t know where our mothers at my brother and myself and my children and grandchildren. They have been isolating nurse aide 1 hour week visit 1 hour add a conversation on a cell phone then they go to two hours a week visit must be time in between the visits and no they stuck her from she’s supposed to stay in my sister’s house Kathy Law but after my brother-in-law abused my mother in their home Kathy has the guardian he threw her into the wall and she hit the ground and he kept yelling this is my house this is my house. My mother told me about it on February 3rd and she was moved into Ashford Court senior apartments without any medical care there. On February 8th then court hearing was February 19th when it was supposed to be on March 19. My mother is very unhappy there so now her phone is off and we have no contact to where she is and my sister says it’s safety issue and she can’t tell me. My mother has been chemically restrained not only while in Maple Manor but it continued while under the care of Kathy Law a nurse practitioner. The gal continue to lie in court saying that Randy and I were only there a couple days and I only missed a couple days of visits with my mother and now I’ve only had a couple since she’s been released in October and it’s April now. And I had over two years of no contact with my mother it’s not going to happen again. Talk to each other family members while in the hall waiting for court and told them they have to get along and my sister Mary proceeded to act like it was her that did it and she’s the petitioner for this last episode to get my mother released from Maple Manor. Before Maple Manor my mother lived a year in 2016 in her home by herself with no one caring for her. Now if it’s people that are reading this are not aware of Mary Rowan is supposed to visit her 1,400 wards ever 3 months! She doesn’t she doesn’t visit them. Now I wonder if she stuck these words that she transferred out of Maple Manor into her criminal boarding houses they’re run by criminals and they get maybe two meals a day and they’re full of bed bugs I know if two of them her boarding house. Read more of the stories about Mary Rowan on this website. But the family members in the first place they had issues because a home equity line of credit was gotten for my parents who did not understand it they just trusted my sister Linda and it was with my sister-in-law the wife of Ricky Robinson and for some reason she handed out large sums of money after she had my mother signed blank checks from the home equity loan line of credit. Telling my mother she needed them signed to pay bills. Lying to her because she had full control the line of credit through the computer and my mother’s bank account was my parents were alive when they did this but my father also and that’s bank fraud online fraud what do they call it a forget she did mail fraud and out Financial elder abuse and anybody that received any of the money was guilty too. Westland now deputy chief of police officer decided to drop the case because my sister Linda was crying several times at now she’s guilty of 10 counts of Larson. Over $102,000 unexplained other than the checks that were cashed by the siblings written by my sister signed by my mother because my mother signs blank checks trusting my sister. And they’re all going to go up for perjury for all this we haven’t let them have visits with my mother for 18 months and then up to 4 years when I have videos and pictures of them visiting with us and presence of our mother which the judge refuses any documentation from us Randy and myself. I guess they think it’s not perjury when they put it in writing to Mary Rowan and their attorneys who sign it saying that it’s not perjury that it’s true. Falsifying the need for aid and attendance from the VA as a federal offense. Mary said in her petition the whole thing about putting my mom somewhere else like American house on the second floor was to keep Debbie and Randy away from her mom. Wait till there lawyer finds out how much they’re lying. Perjuries what put April Park in jail prison and everybody else involved with it. And I told them about it Purgery will put you in prison! Rowan never submitted her paperwork for the financial elder abuse that she said took a full 18 months to do. but nothing was submitted to the court it was not at any of her conservator paperwork. Where to submit anything if you are interested in her annual report that are always over 2 years late but it gets denied. Maria Vulaj’s job is to make sure sure conservsitor turns in all receipts. Vulaj reported to the court Rowan did nothing wrong. Rowan never filed any receipts for three years. She filed your second conservatorship report for the month ending the starting December 2014 and ending in December 2015 she edited that to include the house and the car and the surrender of all life insurance by Mary Robinson who didn’t have any right to do that. $10,000 whole life cashed in for $3,000. One policy. Kathleen Law is the new appointed Guardian. Judge Keith says we all agreed on her and we didn’t agree at all no discussion. yes whole guardianship conservatorship cases of course one-sided the ones that are for only at the chance to talk. Threats to be held in contempt of court. Rickie Robinson even approaches the bench yelling and screaming that he walks his hearing now was the three girls wanted to laid after they come back from the eclipse in Kentucky. Of course that’s more important than leaving your mother and Maple Manor. Okay on February 19th the conservator wants permission to pay for us in your apartment because something came up will did they say what came up what came up was Kathleen Law from Wayne Michigan left her mother the ward the protected individual a home alone with her husband Paul Law from Wayne Michigan that’s the Patriot Guard Rider. Other times she would just leave Gayle home alone until Gayle calls for a ride to Mass. So after getting busted the ward protected individual was left with William Law of Wayne Michigan reported by Gayle Robinson February 3rd he picked me up in through me into the doors are in the hallway and I fell to the floor I thought I was dying I thought my back was broken I was sure of it and my head pounding I’m sure I wasn’t going to I knew I was dying. Only to have six foot male standing over me yelling this is my house this is my house this is my house! The records from Henry Ford Hospital reporting that Gayle is depressed because of the situation of the financial elder abuse and what they’re doing to her in court around children. Questioned the PhD Geha was no longer on the list to do this medical evaluations. it says oh it’s at the report but it’s not me written up the way you would want it and then less than 4 years the judge who doesn’t care to listen to Gayle, forces Gayle into Kathy Law’s home where an attempt on her life. Because Rickie Robinson neglected to follow the court order to prepare the home for Gayle to back into and move her back in and care for her 24/7. Kidnap his mother from Northern California where he doesn’t know where his uncle lives in his uncle’s not letting him have any contact with Gayle because of a court order. Randy gets 93 days in jail. About Paul Law didn’t want his mother living with him so we didn’t want to the Mother-in-law cutting in on their travel time so he beats up a 87, mother in law. Mary Robinson who was the recent petitioner and she did it while Kathy was on vacation and everybody lied about getting along when the lawyer just said you need to get along to get rid of Mary Roawn. All phone calls go track lighting Kathleen lost phone number. Kathy continues to chemically restrain Gayle Robinson with the prescription that was given in Maple Manor and she should not have not approved for over 65 chemically restraining order. Gayle’s children faked an agreement when you do that in court its perjury. They are now throwing Gayle’s property away. They told the Judge they wanted Gayle to be able to go threw the things. Happy Birthday Marines November 10! Veterans Day is because of the end of WWI it’s 100 years since that last shot Nov 11. See you in Detroit at the Parade, Nov 14 Gayle will be 88 and isolated in an senior apartment Ashford Court with Aids alone acting as Assistant living and hospice. Studio apartment is over $20,000 Gayle wants to be home! There are laws on the books since 1930s to protect people with caregivers! Demand law officers to use them! 750.145n Vulnerable adult abuse; first degree; second degree; third degree; fourth degree; authority to prevent vulnerable adult from being harmed or harming others not prohibited; applicability of section to act carried out by patient advocate. (1) A caregiver is guilty of vulnerable adult abuse in the first degree if the caregiver intentionally causes serious physical harm or serious mental harm to a vulnerable adult. Vulnerable adult abuse in the first degree is a felony punishable by imprisonment for not more than 15 years or a fine of not more than $10,000.00, or both. (2) A caregiver or other person with authority over the vulnerable adult is guilty of vulnerable adult abuse in the second degree if the reckless act or reckless failure to act of the caregiver or other person with authority over the vulnerable adult causes serious physical harm or serious mental harm to a vulnerable adult. Vulnerable adult abuse in the second degree is a felony punishable by imprisonment for not more than 4 years or a fine of not more than $5,000.00, or both. (3) A caregiver is guilty of vulnerable adult abuse in the third degree if the caregiver intentionally causes physical harm to a vulnerable adult. Vulnerable adult abuse in the third degree is a misdemeanor punishable by imprisonment for not more than 2 years or a fine of not more than $2,500.00, or both. (4) A caregiver or other person with authority over the vulnerable adult is guilty of vulnerable adult abuse in the fourth degree if the reckless act or reckless failure to act of the caregiver or other person with authority over a vulnerable adult causes physical harm to the vulnerable adult or the caregiver or other person with authority over the vulnerable adult knowingly or intentionally commits an act that under the circumstances poses an unreasonable risk of harm or injury to a vulnerable adult, regardless of whether physical harm results. Vulnerable adult abuse in the fourth degree is a misdemeanor punishable by imprisonment for not more than 1 year or a fine of not more than $1,000.00, or both. (5) This section does not prohibit a caregiver or other person with authority over a vulnerable adult from taking reasonable action to prevent a vulnerable adult from being harmed or from harming others. Demand your Senators of to add penalties with time in prison we need the House to pass the BILL. Michigan has a committe to investigate Probate has anyone been helped by them?